Granville Stuart, shown circa 1868. Granville Stuart, who died 100 years ago this October, is one of the most remarkable men in the history of the West. 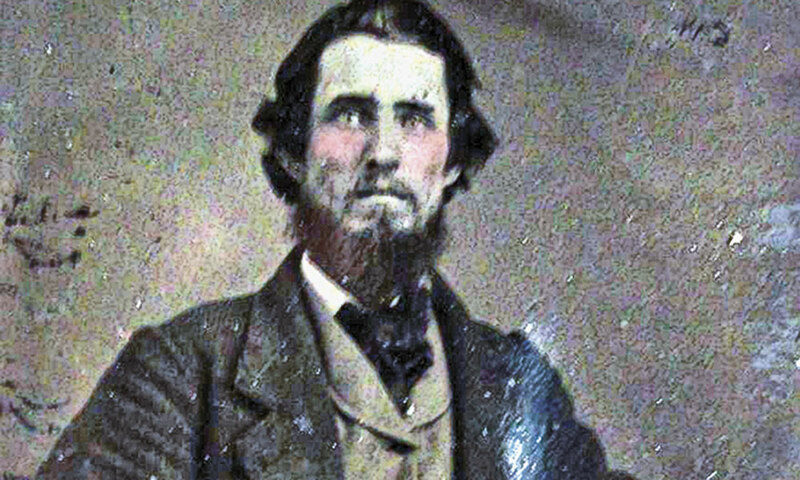 Born in what’s now West Virginia in 1834, Granville moved with his family to Iowa four years later. In 1852, he accompanied his father and brother, James, to the California goldfields. Like so many others, the men didn’t strike it rich as they moved from one location to another. By 1857, they were ready to give it up and head back to Iowa, but they had a stroke of good fortune (it probably didn’t seem so at the time). 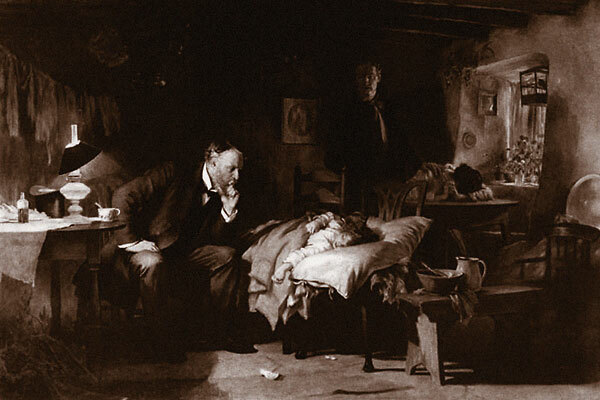 Granville became seriously ill in southern Idaho. The fierce winter forced the group to move into what would become Montana. Over the next three years, James and Granville dabbled in prospecting, mercantile ventures and livestock trading. Granville Stuart was appointed by Montana Territorial Gov. Benjamin F. Potts to serve as a prison commissioner for the brand-new territorial prison in Deer Lodge, which began housing prisoners in 1871. 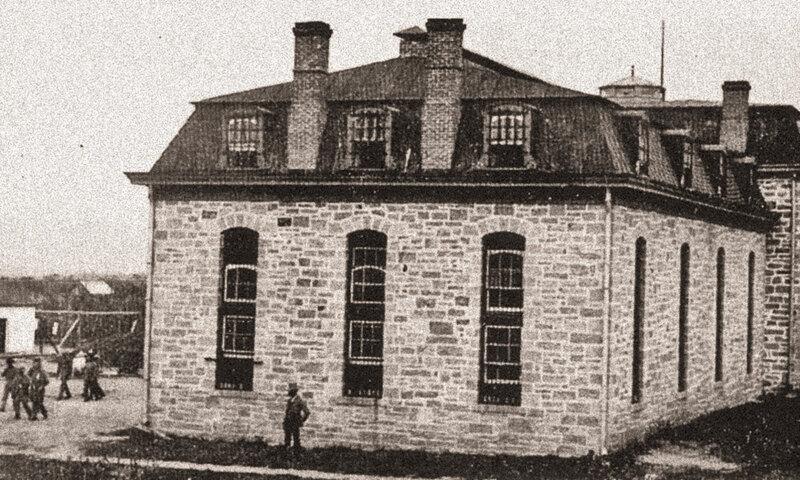 The above photo of the prison was taken circa 1885, before the three-story cellblock construction was completed the next year. The Stuarts have been credited with first discovering gold in the areas of Deer Lodge, Alder Gulch and Virginia City, but historians have disputed that claim. What is clear is that they were there during the gold rush that inspired the creation of Montana Territory. Granville found something just as good as gold—relationships with many of the men who would become Montana’s civic, business and government leaders. Granville fit in well. A man of intelligence and wisdom, learned and well-read, he also had remarkable leadership skills. As a result, he served in a variety of local and territorial offices. He was the president of Montana’s first college, oversaw the territorial prison, served as a colonel in the militia and founded the Society of Montana Pioneers. His book collection was the start of Montana’s state library. As a businessman, Granville wasn’t as successful. He never struck it rich in mining or mercantile investments. 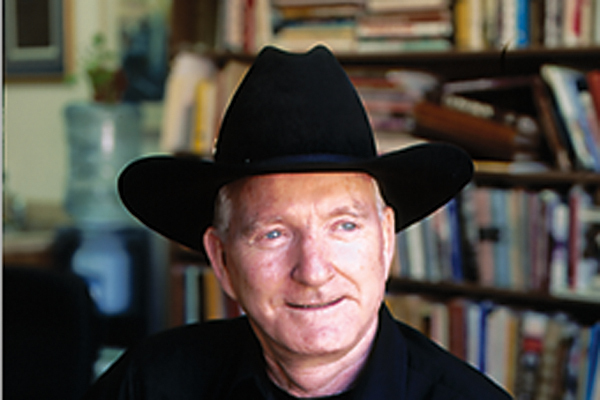 He helped start one of the region’s largest cattle operations, the DHS Ranch. In that capacity, he formed the vigilante group called “Stuart’s Stranglers” to combat rustlers. But the DHS Ranch went broke after the killing winter of 1886-87. Granville had to regroup. He became a state land agent, overseeing some 600,000 acres given by the federal government. In 1894, he became U.S. ambassador to Uruguay and Paraguay. His last formal position was Butte Public Library head librarian, between 1905 and 1914. Granville spent the remainder of his life putting his copious journals into book form. He didn’t live long enough to see the finished book, dying in Missoula on October 2, 1918. But Forty Years on the Frontier was published in 1925, and it is still considered to be one of the best and most important accounts of Old West life. For that alone, Granville deserves to be honored. Did the last hanging in the Old West take place in Santa Rosa, California? Why do almost all the Old West characters wear handkerchiefs around their necks in TV shows and movies? What’s in His Head? How much schooling did frontier docs really have?